The is a type of new helicopter carrier class being constructed for the Japan Maritime Self-Defense Force (JMSDF). If Izumo-class ships were to operate fixed-wing aircraft, it would be limited to STOVL (short take-off, vertical landing) aircraft, which Japan recently acquired F-35A and a possible of F-35B. At 250 meters (820 feet) long, and reportedly displacing 19,000 tons [empty, but 27000 loaded], the ship can carry 14 helicopters. 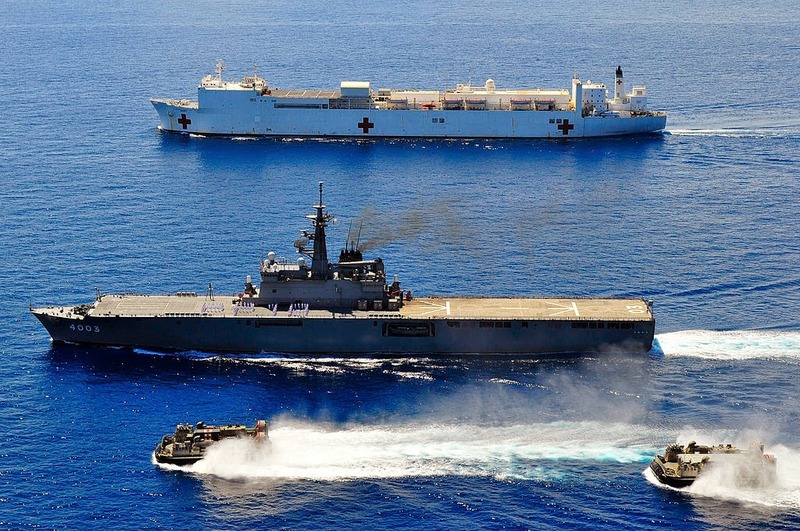 It is the largest warship Japan has fielded since WWII, and about 50 percent bigger (in terms of displacement) than Japan’s current largest ship, the Hyuga-class helicopter destroyer. 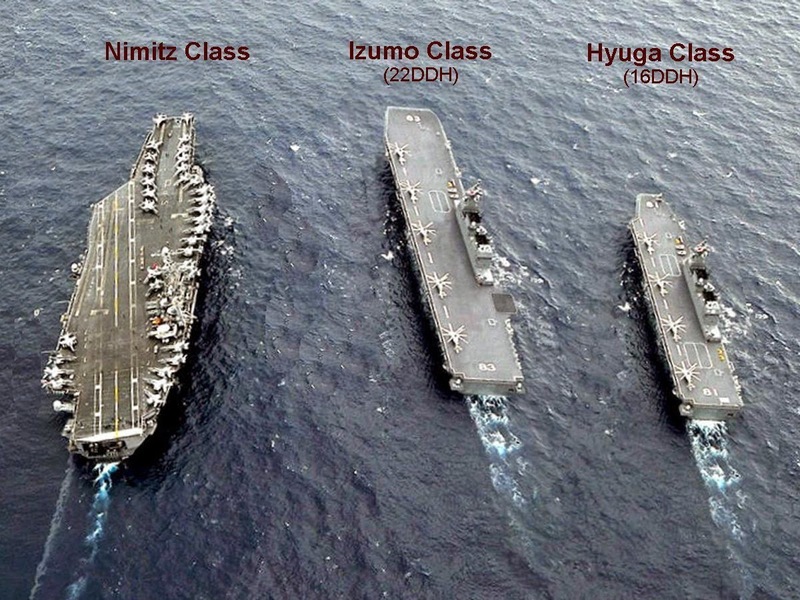 Japan can also fly unmanned surveillance drones from these "helicopter" carriers. Japan has two of the smaller Hyūga-class helicopter destroyers. Japan is also refurbishing Osumi-class amphibious flattops. The Ōsumi class LST is a Japanese amphibious transport dock. The class is also known as the Oosumi class. While the JMSDF describes the Ōsumi class as tank landing ships, they lack the bow doors and beaching capability traditionally associated with LSTs. Functionally, their well deck makes the Ōsumi class more like a dock landing ship (LSD). As of 2014 there are 3 Ōsumi vessels active with the Japanese Maritime Self-Defence Force.